Out of the five segments of Sangam Landscapes Kurinji, Mullai, Marudham, Neidhal, Paalai in Tamil Nadu, Kurinji represents the mountainous regions where the flower Kurinji abundantly blooms. 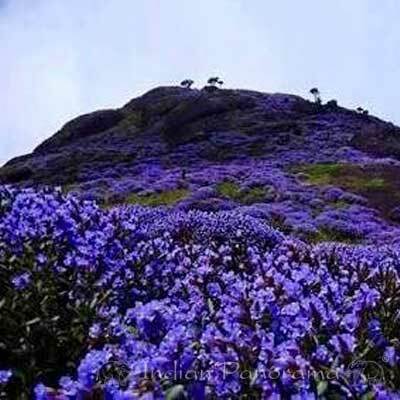 The Queen of Hills, Ootacumend is popularly called as Blue Mountain, the reason being the flower Kurinji which covers the entire landscape with its purplish blue flowers, transforming the region into totally blue colored one. 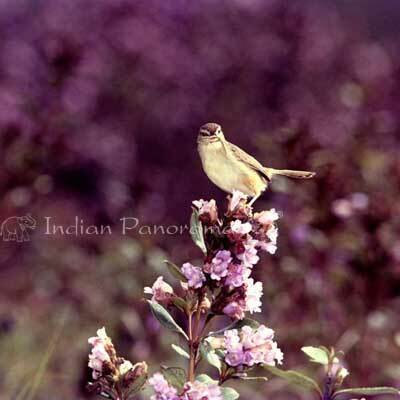 Ooty mountain ranges are home to around 33 varieties of Kurinji flowers. It is a nature’s phenomenon, either a scientist or a naturalist can never arrive at any conclusions on how exactly the time intervals are being strictly adhered to by the Kurinji flowers ranging from 3, 7, 12, 17 and 36 years for blossoming, One of the several mysteries of the mother earth still unexplored ! This year, the areas in the Blue Mountain Ranges like Ooty, Kothagiri, Coonoor Lamb’s rock are the places where you can see the abundant blooming of the diverse varieties of the Kurinji flowers. Out of all varieities, Kurinji flowers, blossoming once in 12 years claims a special significance and attraction amidst the tourists and nature lovers. Blossoming for once in 12 years, Kurinji flowers are abundantly available in the Shola Forests of the Western Ghats in South India. Though Kurinji is found to blossom in Ooty, Yercaud hills, and some parts of Kerala, it is seen as a carpet covering the mountain predominantly in Kodaikanal, which is the Princess of Hill Stations in South India. Kodaikanal is the most renowned tourist destination where tourists, nature lovers and photo fanatics arrive during the blossoming season for witnessing and enjoying the natural beauty of these Kurinji flowers. There is a separate temple housing the deity named after this flower called Kurinji Andavar temple and references to Kurinji flower and Kurinji andavar temple are found in the Sangam Age Literature called Kurunthogai. By this, we can understand the ethnicity and antiquity of Kurinji flower which is a part and parcel of the culture of Tamil Nadu. 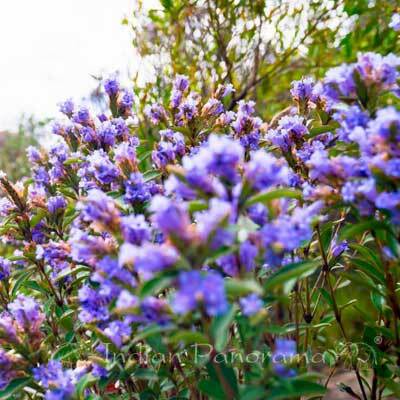 Kurinji, referred by its botanical name as Strobilanthes kunthianus, grows at an altitude of 2400 meters , growing well beyond 150cm under suitable climatic conditions. Due to its unusual flowering behavior, Kurinji flower still remains a mystery and attraction to the tourists across the globe. Kurinji flower has a special quality of blooming at long intervals and die, their seeds sprout and spread by the technique called Mast seeding and make themselves ready for the next tenure of blossoming after a long twelve years ! Festivals at small scales have been celebrated since the ancient times to welcome the blooming season of Kurinji as this is a symbol of clandestine love and romance for the people in that region. This year 2018 happens to be the wonderful much awaited year where the blossoming of Kurinji flower has already started in Kodaikanal making the entire mountainous landscape purplish blue, a undoubtedly real feast to the eyes! From July to November, Kodaikanal makes everyone spellbound with the bluish tint everywhere, an event unique to Kodaikanal !! Plan a visit to Kodaikanal this season, to enjoy the phenomenal beauty of Kurinji flowers giving you an experience of life time, which no one can afford to miss else need to wait for another eventually long twelve years !! Looking for a plan to witness the Mountain Ranges turning into purplish blue blankets? Contact Us for a wonderful experience !